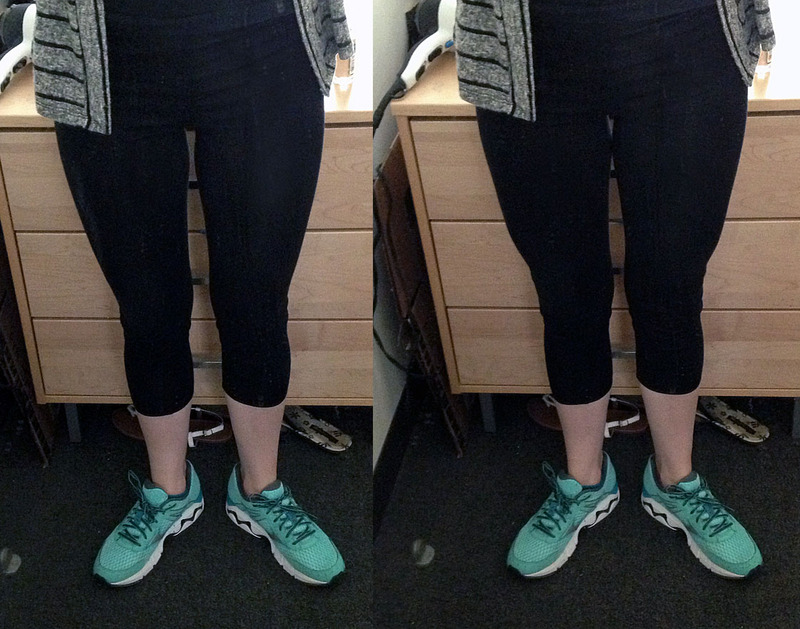 I’m over a month into my hip injury… and I still have quads?! I didn’t even know I had much quad at all until I casually investigated yesterday and witnessed the above. It was like finding an entirely new body part. 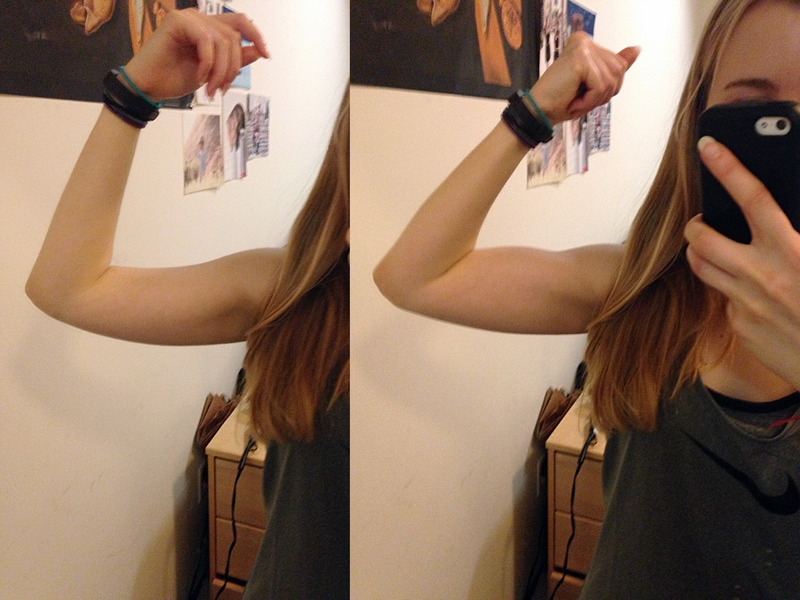 I was so mystified–especially because the only difference between these two photos is flexing! And I couldn’t even fully unflex in the unflexed photo because my quads just were not having it. But anyways, thanks to my hip injury (see the fun details in my last post), I was afraid that having to forego leg day would mean no more legs. 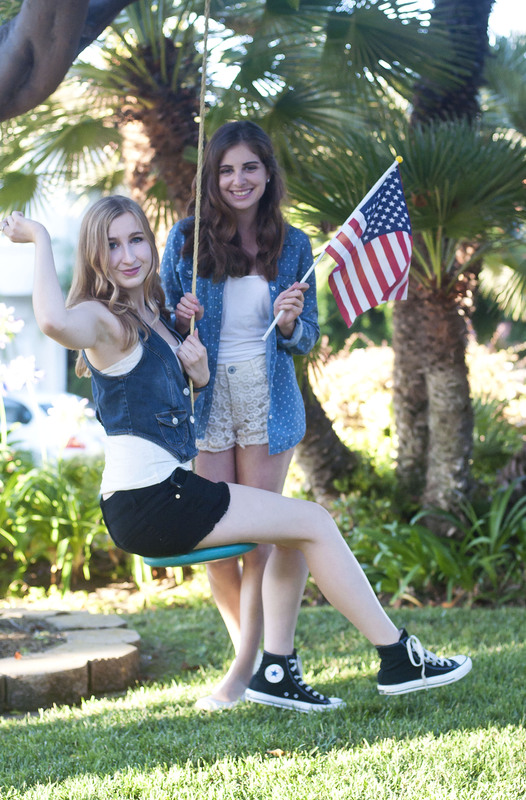 Well, leg muscle, that is. I just recently acquired all of it, so I’ve been afraid that my body will revert to it’s natural, gelatinous form. I’m Luna, and I’m on a mission. I’m a 20 year old who loves to cook and bake professionally, but who also desperately longs to be fit. Right now, I suffer from the dreaded “skinnyfat”: I’m on the lower end of the healthy BMI range, but with no lean muscle mass to speak of. I’m all flab and bone. I used to be skinnier–underweight, in fact–but when I picked up my baking skill, I also picked up a nasty binging habit. I went from 100 to 120lbs during my first year at college largely from stress-binging as a result of a bad roommate situation, and want nothing more than to undo that. But instead of a return to being skinnyfat and skeletal, I want to be toned and fit. I want to feel strong, healthy, and lean, while eating all kinds of delicious vegan food and feeling no urge to binge. I’ve studied nutrition, physiology, and molecular and cell biology at a top 3 ranked university, so I’m armed with science in deciding how to go about losing the weight and getting fit. Join me on my vegan journey to fitness! I’m not a fan of having to post photos of myself like this, but I have to record my progress somehow. As you can see, even when my bones were sticking out, so was my stomach pooch. And then, my poor bones were all covered by an embarrassing amount of flab. And in April, still not a huge change, but at least it’s hope for some progress (though right now I’m 4lbs heavier!). I’m hoping that the big change starts now. Can’t wait til I can post a real before and after! I’m currently using this blog as a place to log my food/exercise diaries and goals, keep myself accountable, and share recipes with anyone that feels like reading. I’d also love to meet others making the journey towards weightloss, fitness, and health!